The place is updated by running a model 2-8 hours before the match with latest data scoring. Feel free to reach out for more queries on the model manipulations. The algorithm has been changed to incorporate the latest findings patterns in IPL , trained with rcent data and lets see how the predictions goes. 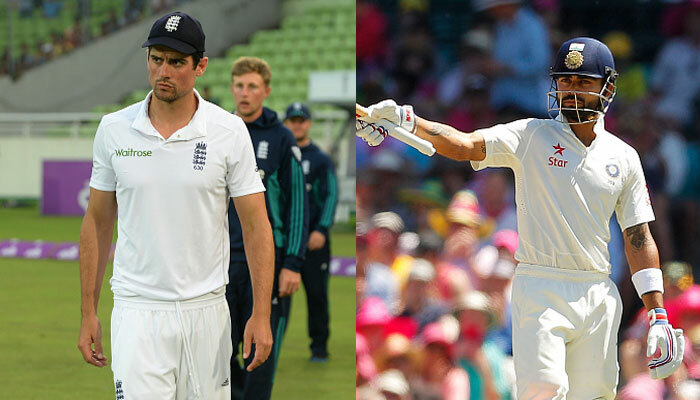 Cricket: The game of uncertainties and the force which binds the country as big as India. Cricket has a new definition these days, it’s a more entertaining game than in past, because of the induction of new format called T-20 cricket. 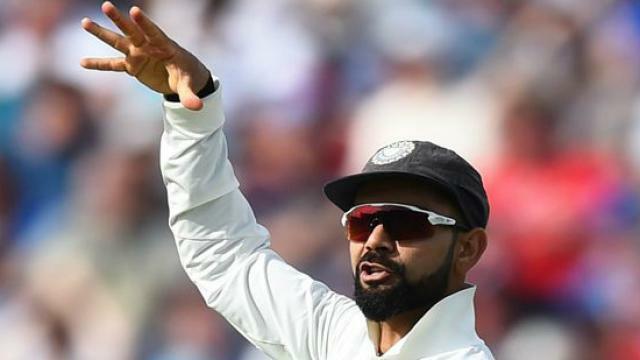 All over the world the business folks are trying to cash up this new popularity and Indian Premier League is one of the diamonds of these new business models. IPL is more than cricket, Iits money, its flashy, its surprise cricket, its entertainment and more than that its business. There are people earning more than players, franchise and sponsors and there has been a lot of debates about this already. I have been following IPL for so many years and its as unpredictable as one game can get, its just as good as a Soccer Match , but can mathematics achieve the possibility of finding who will win the match , is there a pattern IPL is following and who will win today ? I have been collecting data points and based on the historic result trying to predict the winner and scores and let’s see how close it can get. The following criteria are a few in thousands to predict if the team is going to win the match or not. The model is in development phase and data collection has been a challenge, hoping to add more attributes going forward and train my Predictor. This is arguably one of the most important concepts of probability and predictions based on existing set, and the reason I got to start butterfly predictions. 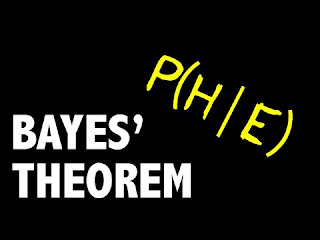 Bayes Theorem : It the probability of an event, based on prior knowledge of conditions that might be related to the event. Here is my XI and prediction for 4th Test . Accuracy of 18% is alarming but the series is so unpredictable and we had a few very close prediction , which could have lifted it to 50-60%. Random Forest Classifier is supervised classification/regression ensemble algorithm. Ensembled algorithms are those which combines more than one algorithm of same or different kind for classifying objects. 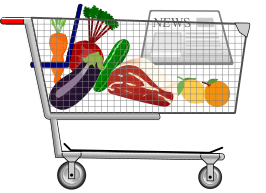 Recommendation using Market Basket Analysis -Association rules is well explained in above article, now to understand it further we will be going through the code in R and ow do we implement the algorithm. Starting with our first prediction algorithm and attributes explained, we will be trying this in India England recent series and test the accuracy of this with real time data. I ll be coming up with runs range for every batsman and lets see how accurate it is for this match. Looking forward to share more in this space. We have always seen the famous product sites recommending products to users. There must be some set of rules which drives them to right product, and if they recommend right product, probability of acquiring or using the product increases. It works best with Netflix, Amazon, YouTube and so on. Almost all (newbies in ML) are well familiar that machine learning divides itself in three broader categories supervised, unsupervised and reinforced learning. Supervised: Exploration of output variable or rather prediction variable based on available training set, which must be true in first assumption. Algorithm find mathematical relations between all inputs and output from training set and same equation is applied to ‘new data’. Predicting winner of match between 2 teams, based on historic set which includes all the time they played in similar conditions and what could be the result. Unsupervised: A algorithm explores data without been given any output direction, algorithm finds groups which may be useful and exhibiting same properties. Movies recommendation of Netflix based on the content you have watched or people in same characteristic as you have watched. Reinforced: A wonderful definition from McKinsey article states that, an algorithm learns to perform a task simply by trying to maximize rewards it receives for its actions. An interesting example is game play in Chess In order to determine the best move, the players need to think about various factors. The number of possibilities is so large that it is not possible to perform a search. If we were to build a machine to play such a game using traditional techniques, we need to specify huge number of rules to cover all these possibilities. Reinforcement learning completely bypasses this problem. We do not need to manually specify any rules. The learning agent simply learns by playing the game. For a last few articles we have been covering mostly about supervised, the simple linear predictions and math’s behind it, from this series we will start on classifications models, which are interesting and provides result for categorical attributes not a definite number. We will start the series with Decision Tree, most important concept of classification model. 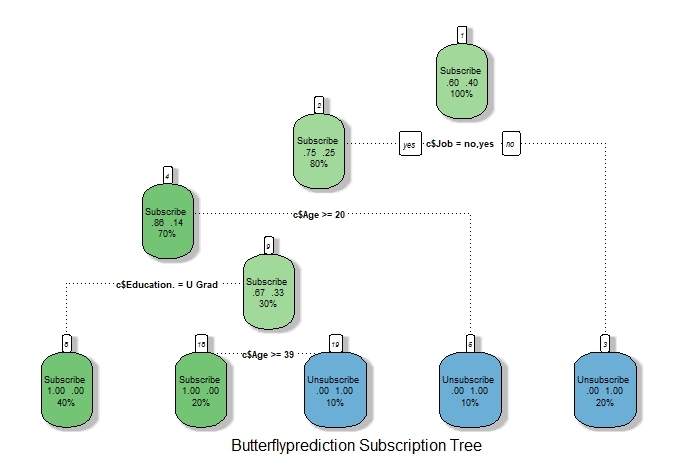 Problem Statement: We have a set of people their education, profession and Job status (yes /No ) , we want to predict based on our historic data whether they will subscribe to our channel , butterfly predictions. Solution : Find the root node, how do we know the best node to start our decision tree, the concept of entropy comes into picture. And for the split Information gain should be maximum, the maximum gain amongst the 3 attributes Education age and job will be root node and so on for every node. Keep repeating the same process for all the columns and eventually we will get the following tree plotted. The tree node has 4 values in all directions, North side represents the majority value of target node (in our case Purchased), West indicates the percentage values present with left condition and east for right condition percentage. South side value represents the percentage of values in that node , hence root node has maximum percentage. The splits are mostly self-explanatory, The first split is based on Job and If Job is no of user , then 20% chances that that guy will unsubscribe and so on ,from our sample people who have a job and age is more than 20 and are undergraduates will subscribe to the blog with a good percentage of 40%. So clearly a good hint at our target audience. A very simple R code can help us achieve the above set. Minsplit :The minimum number of observations that must exist in a node in order for a split to be attempted. Minbucket :The minimum number of observations in any terminal <leaf> node. If only one of minbucket or minsplit is specified, the code either sets minsplit to minbucket*3 or minbucket to minsplit/3, as appropriate. CP (complexity parameter). Any split that does not decrease the overall lack of fit by a factor of cp is not attempted. For instance, with anova splitting, this means that the overall R-squared must increase by cp at each step. The main role of this parameter is to save computing time by pruning off splits that are obviously not worthwhile. Essentially,the user informs the program that any split which does not improve the fit by cp will likely be pruned off by cross-validation, and that hence the program need not pursue it. Left/Right Son :"son" tells you the number of the next node below that split. The "obs" numbers are how many of the training data are on each side. Primary Splits : Those are the leading variables that could have been used in a split. Surrogate Splits : They are used when there are missing predictor values. Another split, that approximates the original split's results, can be used it its values are not missing. We will be discussing on how to check the effectiveness of R models in further articles as well. Major of predictions which require categorical answers, decision tree fits them well with good accuracy. Sports Predictions, Categorization of Books , Prediction of employee performance while joining and so many more . This is just a start of a series of algo in this section and let me know how you feel in comments section. Its been a while for new post, I was going through a lot of world cup prediction models and ended up creating one logistic regression set and predicted around 75% times correctly. Data collection was a challenge and I included a lot of manually created/transformed variables, will publish in detail how I trained and scored my model. Moving on in our regular learning series we have Logistic Regression, as always, my focus will be to understand the mathematics behind and how do we use it for our life. In the linear regression model, the dependent variable y is considered continuous, whereas in logistic regression it is categorical. where Y is a continuous dependent variable and independent variables Xi are continuous. 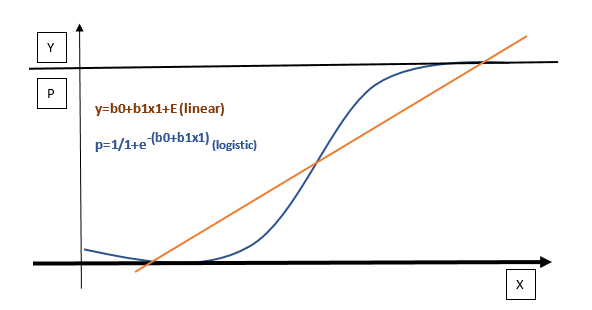 Above graph shows a basic graphical comparison between linear and logistic form of regression, linear provides a continuous values for Y , however logistic provides a probability of Y value with the help of sigmoid function and the output always is categorical from 1 or 0 (simple logistic regression. The plan is to get the probability and then decide an optimum level (based on understanding of problem), above which we ll define the target to be 1 and below which we ll call it 0 (only 2 variables as of now). We have a scenario to explain further where a Football Team scores in first half and now we want to see what the probability of is winning of that team. The Intercept (b0/c) is -0.08333 and Goals(b1/m) is 0.25926. Now we know b0 and b1 from our regression coefficients, we can calculate the probabilities. And we decide a optimum value of 0.60 and assume if a team scores 2 goals more than other team , that has very good chances of winning and we declare it as winner , of course there are numerous other factors involved but this is one aspect of looking at it. The analogous metric of adjusted R² in linear regression we have AIC in logistic regression is AIC. AIC is the measure of fit which penalizes model for the number of model coefficients. Therefore, we always prefer model with minimum AIC value. It measures flexibility of the models. Its analogous to adjusted R2 in multiple linear regression where it tries to prevent you from including irrelevant predictor variables. Lower AIC of model is better than the model having higher AIC. It is a measure of goodness of fit of a generalized linear model. Higher the deviance value, poorer is the model fit. Null Deviance indicates the response predicted by a model with nothing but an intercept. Lower the value, better the model. Residual deviance indicates the response predicted by a model on adding independent variables. Lower the value, better the model. Lower value of residual deviance points out that the model has become better when it includes more variable (generic). Its just a comparison of actual and predicted values of Y and allows us to find accuracy and avoid over fitting , We ll have additional write up on confusion matrix but in brief the accuracy is calculated from. Accuracy = True Positive +True negative / True Positive + True negative + False Positive + False negative. The best definition I could find is Receiver Operating Characteristic (ROC) summarizes the model’s performance by evaluating the trade offs between true positive rate (sensitivity) and false positive rate (1- specificity). The area under curve (AUC), referred to as index of accuracy(A) or concordance index, is a perfect performance metric for ROC curve. 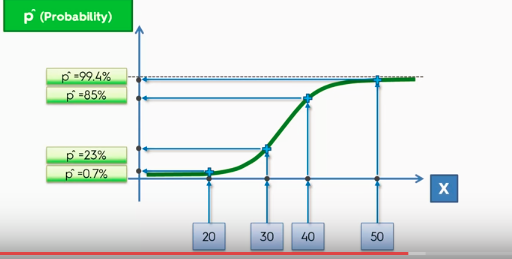 Higher the area under curve, better the prediction power of the model. FIFA WC/Any Sports event Winner.